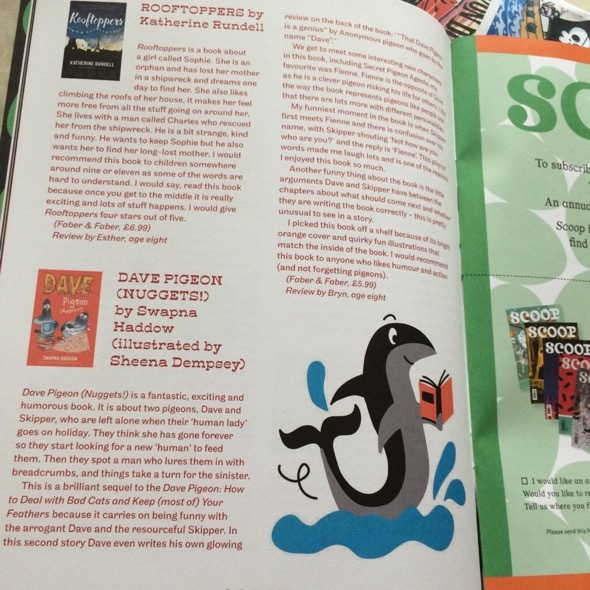 Here, at Dave Pigeon HQ, we are loving this latest review for Dave Pigeon (Nuggets! ), from eight year old Bryn for Scoop Magazine. Thank you so much Bryn. We reckon you are a superstar literary critic in the making!